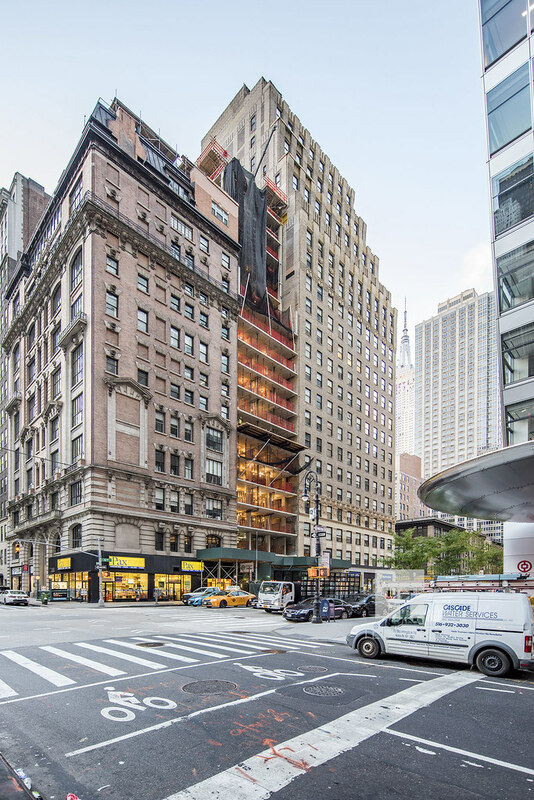 Another Kaufman-designed building has joined the rush of projects with applications filed prior to the new building code taking effect, this time at 1050 Sixth Avenue. 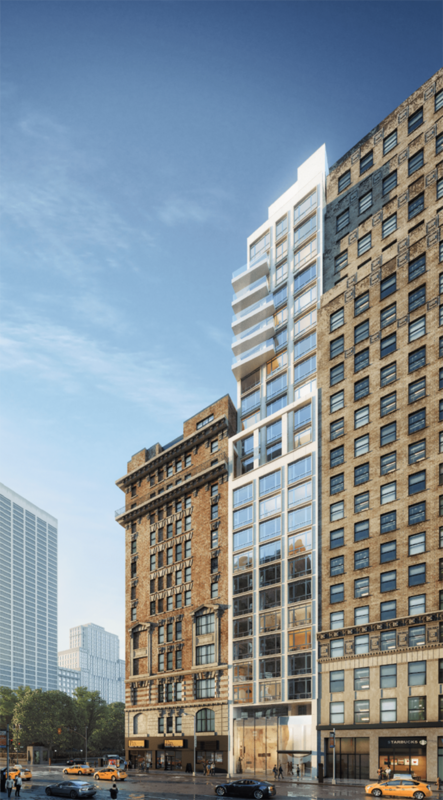 The site is just to the south of Bryant Park, between 39th and 40th Streets, and somewhat surprisingly, the 24-story tower will actually be residential. The filings indicate a total scope of 56,784 square feet, to be split between 61 units. That works out to an average of under 1,000 square feet per residence, likely indicating apartments, though with a roof height of 283 feet, average floor heights of 12 feet will yield lofty ceilings. 1050 Sixth Avenue is across the street from another new office tower at 1045 Sixth Avenue, designed by Pei Cobb Freed and developed by Hines. Also known as 7 Bryant Park, construction is beginning to wrap up on that building, and glass installation is nearly complete. Given the neighborhood’s continued increase in desirability with the redevelopment of several lots along Sixth Avenue over the past ten or so years, the design for Kaufman’s contribution should be attractive, as the product is likely to be relatively high-end. Perhaps the best indication is the triplex penthouse that will occupy 1050 Sixth Avenue’s 22nd through 24th floors. The location is more typical for new hotels, with a large Residence Inn designed by Nobutaka Ashihara located across the street. Another project by Fortuna Realty is in the works at 1150 Sixth Avenue, just five blocks to the north. Around the corner facing Bryant Park, a hotel and residential combination is also about to begin construction at 20 West 40th Street. As for 1050 Sixth Avenue, Leonard Wilf of Garden Homes is listed as the developer, and demolition permits for the existing two structures have not yet been filed, so the filings may simply be in anticipation of the code change, rather than an indicator that construction will begin soon. There’s a rendering posted at the site. It’s ok. This one seems to be moving rather slowly. 3/30 foundation work is complete and the first below grade floor is being prepped for concrete pour. I walked by on Friday. It’s already at least one floor above ground. Looks like this Gene Kaufman special is topped out. This came out better than the rendering. Esp good for a kaufman. ML House at 1050 Sixth Avenue has been completed and is 50 percent leased. It is designed by Gene Kaufman Architects and developed by Skyline Developers.